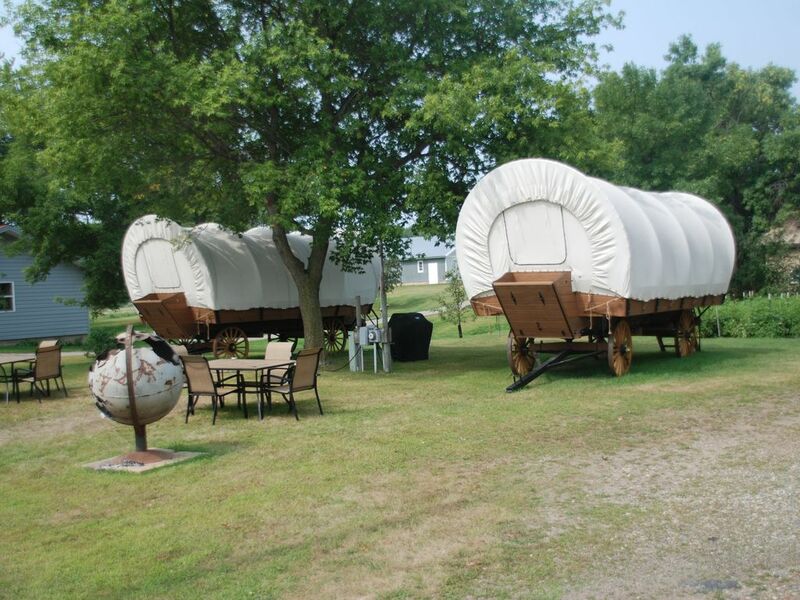 Each wagon sleeps 4 guests with a king size bed and bunk beds. Guests have the option of renting a single wagon or both. To find the second wagon for renting search Rose Lake Glamping Wagon #1. Each wagon comes with its own grill, outdoor table, fire pit, and bathroom. Game/Laundry room and kitchenette will be shared if the other wagon is rented. Pontoon rental and dock with swimming area are also available. The wagons overlook the north shore of Rose Lake, one of the cleanest and deepest lakes in Minnesota. Sandy shorelines make this spot a perfect place for all water activities, especially swimming. This property includes plenty of room for privacy with a variety of yard games and common areas to relax and have some fun. The covered wagons were unique and fun to stay in. The owner made sure we were warm on a cold October night so provided us with two heaters. It was a unique experience and we had a great time! This was a great, unique place to stay. We will return! We really enjoyed our short stay here, we will return for a longer visit next time!! Fantastic guests that I would recommend to any host.